LOOKING for a fun way to kick off Winter Break this February?! There’s nothing quite like making magical Disney memories with your family! First, leave a comment on this blog post telling me your favorite Disney Princess. What do you love most about them? That will get you one entry. 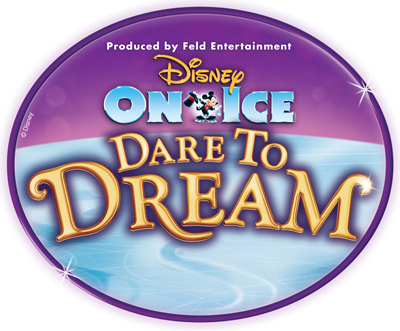 Disclosure: Disney on Ice provided the tickets for my family and for this giveaway. As a huge Disney and Disney on Ice fan, I’m delighted to share this opportunity with my readers. Want to be sure you get to go? You can purchase tickets today! 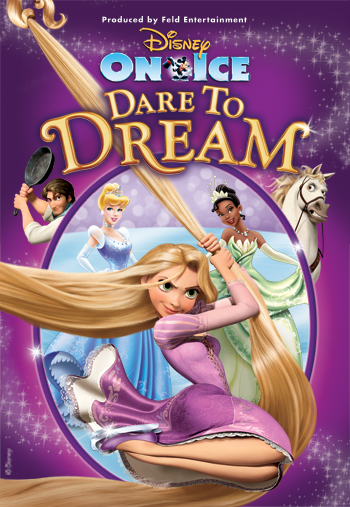 This entry was posted in Disney Movie Lines - Cinema Sunday, Disney on Ice, Giveaways and tagged Disney on Ice Dare to Dream, Giveaway, Win free tickets to Disney on Ice. Bookmark the permalink. My favorite Disney princess is Cinderella. To me she is the epitome of princess. And who doesn’t love the thought that your Prince Charming will rescue you from your life??? My favorite princess is Ariel. We both have red hair and growing up you didn’t see that many redheads ! She’s independent and loves the sea, perfect! My favorite is Rapunzel. She is so adorable and I love her spirit. It probably adds to it as well that my daughter is completely obsessed with her. We have seen the movie probably 100 times and have yet to be sick of it. I love singing and dancing along to it with her. She is almost 3 and has memorized most of the songs. I also love her dress!! My favorite is Mulan. She is strong, smart, and pretty! We LOVE Repunzel but my personal favorite is Belle. Belle to me is a great role model, she didn’t allow herself to be smooshed into the “standard” of that time. My favorite Disney princess in Tiana. I love her dress. I am a fan of Memory Maker Mom on facebook.